The initial cost of a puppy is only the start…. Cliff says, “The initial cost of your puppy, is only the start.” “Before you bring them home you are spending money to prepare, and once they take residence the spending never ends.” When people cite they got a ‘free puppy’ he laughs, because he believes there is no such thing. Many people refer to this as an investment, but really can you call it that? There is no guarantee of return on the money spent. This is more of an adoption and commitment. It may well pay huge dividends of a different kind, but along the way it will also cost you on every level. Nonetheless, despite the financial, emotional, and physical requirements, Weimlovers are somewhat Weim-addicts too! Are Weims more expensive than the average pound-pup? They certainly cost more to acquire. You can find a cheap Weimaraner advertised on the Internet, but at what cost? The most inexpensive Weims are raised in an outbuilding. While it may be clean, they do not receive the attention to detail the Weimaraner requires. With the mention of on-going expense, there are always risks when you take home a puppy. No one, despite extraordinary measures can guarantee the puppy will not develop a problem of one sort or other. Undetected congenital defects could potentially be lurching; they pose a danger for all living creatures. While medical and veterinary science has progressed, some things are undetectable. We are not trying to scare anyone, and these incidences would be extremely rare–possibly one in five-hundred pups might be affected. Who can say what pup though? The odds of encountering a serious problem rise dramatically, when you opt for ill-bred Weimaraner. Other than everyday dangers, accident, and ailments can and do happen. There are the minor things: allergies, parasites, ear infections, and various general illnesses. A general illness is something like we get –a simple viral infection that makes us sick for a day or two. There are bacterial infections too! Dogs, and puppies in general can get sick. This is especially true during the first year, when they have a developing immune system. More often than not, the problem is minor, and passes (or is manageable). Reading all these potential risks may make you take pause about getting a puppy. Certainly, it begs you to address the question of whether to invest in pet insurance or not. AKC (the American Kennel Club) offers each person who registers their pup, a complimentary insurance policy. It may be well worth your effort to take advantage of this offer. When you register (or transfer the registration) to your name, they will send you information on a plan they are connected to. There are other insurance programs. We suggest you check with your Veterinary office on recommendations. The Idaho Veterinary Hospital recommends’s Pest Best Insurance–scroll down and select the Pest Best Insurance icon, and save 5%. They cite many reasons for recommending this insurance–quick pay is at the top of the list. FYI, they have had good results with the AKC recommended insurance too. Rising veterinary costs is one reason to reconsider health insurance. It is unthinkable, but a reality for many pet owners who find they have to put-down their beloved pet because they cannot afford the procedure. Veterinary offices do not offer credit. Another reason often-cited reason for getting basic pet health insurance, is that during the first year of a pup’s life, the insurance cost is more often than not a wash. Insurance tends to cover a portion of the spay/neuter procedure. Depending upon the policy chosen it may also cover wellness exams, and vaccination. We are by no mean an expert on pet insurance. You will have to weigh the pros and cons. The Weimaraner is inquisitive, and like all deep-chested dogs, prone to bloat. What makes us love them so much, also puts them at greater risk. Risk is not unique to the Weimaraner, but every year many are hit by a car. Some of these are well-trained and obedient Weims, who suddenly for no apparent reason walk into traffic. Some suffer a torn ACL (anterior cruciate ligament), due to extreme athletic activity. 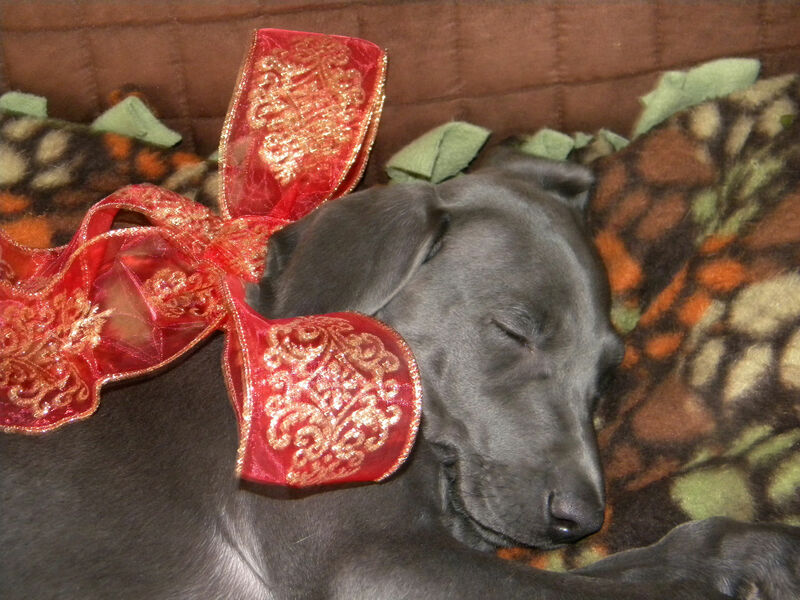 Ingested items (such as rocks, toy fragments, and wood) also plague the Weimaraner. You might find this OwyheeStar blog on this topic a funny read. No breed is without risk, but some tendencies will put the Weimaraner at more risk than the more sedentary types. Posted on January 21, 2013, in Health and Wellness, Information and Education, Mailbox Topics, Pet Insurance. Bookmark the permalink. 6 Comments. Thanks a lot – that was another very, very important post. I think all people who want a Weimaraner or an other dog should read this post.Specially about the “low-price”-dogs. Thank you Easy. Yeah — here is the sad truth. The same pups (raised cheap and sold cheap) often are bought up by pet brokers (at a way too young age) and transferred to a holding facility. Later they got to pet stores, where they charge big money for them. I suppose there are exceptions, but we know that happens. I know this things are bad. here some people have one litter after another, then they sell the pups via small ads for a dumping price. They are breeding with dogs with genetic disease – all for the money. The serious breeders try to make the breed healthy and this backyard-dealers will mess up the whole bread. I feel sorry for the people who bought such a dog and much more for the poor dogs who have to pay for all at the end. That is said well Easy. We get hundreds of requests from people who get angry when we say we will not give them breeding rights. It is a touchy-topic. We have thought about doing a blog on it, but so many people are offended by the truth. Breeding and raising a quality Weimaraner puppy is not only expensive, but time consuming. Then, there is a lot of responsibility. We are not going to spend our time back-stabbing people we feel that do it wrong. However, we are trying to be part of the solution–not just another problem. So, we feel that a breeder should be willing to take back a puppy they raise, and re-home them should be this become necessary. Like you said–so many folks are trying to make a buck, (and they sell to anyone who waves a dollar their direction). They can afford to do this, because they offer nothing after the pup. If the pup dies two days later, they say too bad–or they are nowhere to be found. That’s so sad. They only see the money but not the work, the time, the cost, the worries and also the tears. My breeder traveled through the whole world to find a good stud dog and a she-dog for breeding good puppies and for new blood, because during the time most Weimaraners here were related. I hear you. I am sure many people think we are crazy on so many levels. I suppose we are, so that won’t be a debate. Regardless, inbreeding and line-breeding have been done so much, that at some point in time in you must break the cycle. To break the cycle you must do what your breeder has done, or what we have done. There is no other way. We have many different DNA pools, and we can be selective. It costs us on so many levels. Right now with below zero weather it is cost a lot physically and emotionally. :O) We must keep the kids safe and well………..